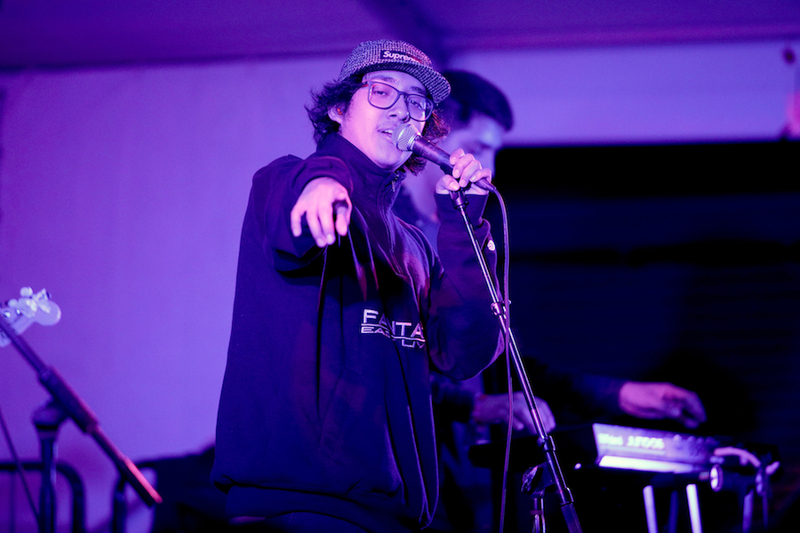 From playing at backyard gigs to having sold-out shows and being one of the artists to perform at this year’s Coachella, Omar Banos, AKA Cuco, has come a long way in a few years. Born and raised in Hawthorne, California, Cuco began learning how to play the guitar at the age of eight and then moved on to the keyboard, drums, trumpet, and french horn. The 19-year-old began to get noticed in 2016 when he uploaded a video on his Twitter of his hands playing Santo & Johnny’s “Sleepwalk” on the guitar. Who would have thought that a video of his hands on the guitar would be the start of his musical career and of a strong fanbase (who call themselves the Cuco Pebbles)? Later that year, he released his mixtape Wannabewithu. This was followed by the release of Songs4u last year. What makes Cuco unique is his soft and tender style of music which he refers to as “alternative dream pop” that gives off very chill and mellow vibes. As a first generation Mexican-American, Cuco uses crossover lyrics in Spanish, English, and even Spanglish. He draws inspiration from Chicano rap and artists like MC Magic, Lil Rob, and Baby Bash. Cuco’s nostalgia-filled songs tend to deal with romance, heartbreak, and a lover’s journey, and allow us to see his sensitive and vulnerable side. His recent song “Sunnyside” is an old-school VHS-style video and we love it! In the song, he mixes alternative, with some R&B and even jazz. It even features piece of his own streetwear line, Fantasy’s Easy Living, which he just launched last month. Though Cuco still has no record label yet, he is already making a name for himself in the industry. There are very few solo male artists like him and he’s definitely a big representation of the Chicano community! He not only will be performing at Coachella this year but also at The Governor’s Ball and he took the stage at SXSW earlier this month. His third album is set to release later this year.